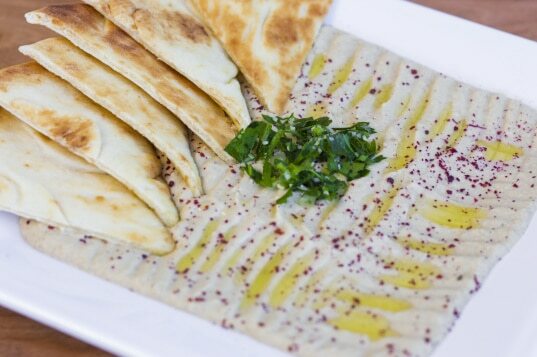 Freshly made authentic Hummus served with a pita bread. Freshly grilled and deliciously soft pita bread. Soft, thin, and delicious flat bread. Golden crisp potato fries made fresh to order. Freshly fried veggie patties made with a blend of green vegetable and chick peas. Served with Jajik sauce. A tangy combination of ketchup and mayonnaise mixed with Turkish herbs and spices..
A creamy blend of yogurt, cucumbers, garlic and mint.